An entire animal population's genome might be sequenced for the first time ever. 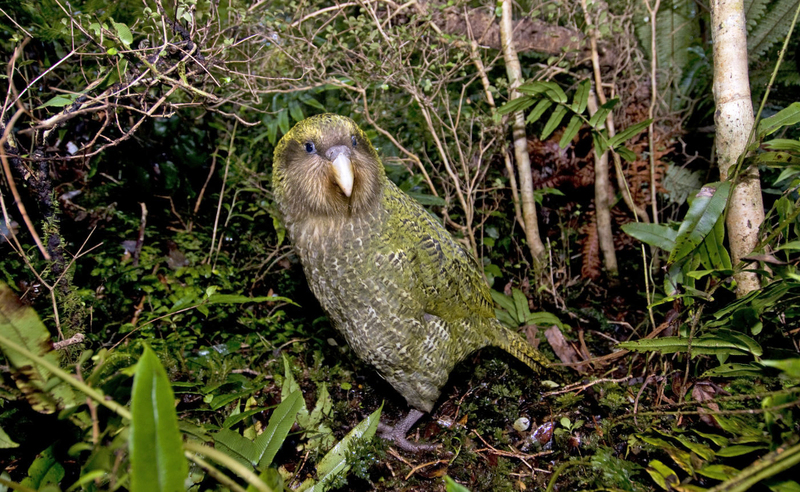 Scientists want to sequence the genomes of all known kakapo, which shouldn't be that hard -- the animal is critically endangered, and it's believed that there are only 125 individuals left. Kakapos are the heaviest and the only flightless parrot species in the world. These rotund, funny-looking birds endemic to New Zealand are nocturnal and live on the ground, eating plants, fruits and seeds. The team has launched this project to help the species' numbers bounce back. It will give scientists info on their fertility and help them figure out if the animals are susceptible to particular diseases. It'll also prevent the team from mating two closely related individuals, as kakapos are already inbred and have little genetic diversity. One female bird's genome has already been sequenced at Duke University, and the group is already collecting DNA from 40 other animals. Those will be completely sequenced by March by New Zealand Genomics Ltd. at the University of Otago. However, the whole project will cost them $100,000, and they're now asking people for help. They're trying to raise $45,000 via Experiment, a crowdfunding website for scientific research. If the scientists reach their goal, an entire animal population's genome will be sequenced for the first time ever, according to Radio New Zealand National. Kakapos have long life expectancy averaging 95 years, mating every three to five. Their population was decimated when European and Polynesian colonizers brought predators with them, since living on the ground made them vulnerable. They were relocated to predator-free islands when conservation efforts started, but they clearly need a bit more help to grow their numbers.